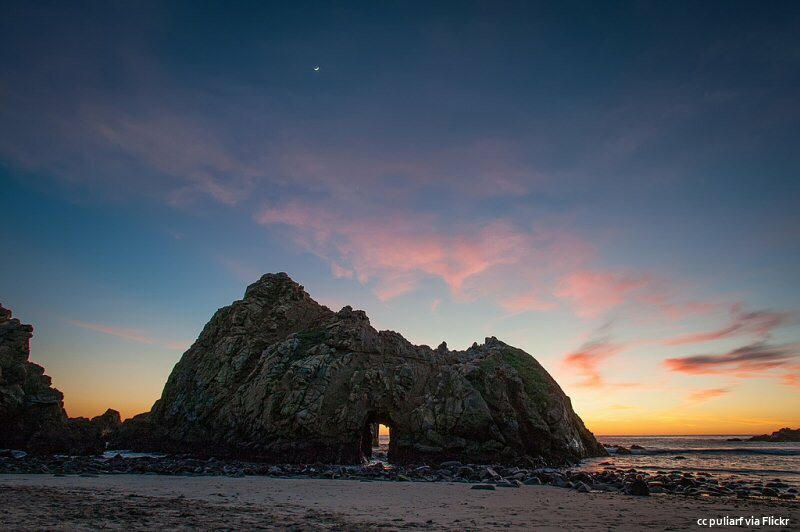 Pfeiffer Beach, with its occasional purple sand, is among a number of places on the Big Sur coast bearing the name of one of the area's pioneering families. For that reason it can get a bit confusing. We'll show you how to find this beautiful and secluded beach and what you'll find once you get there. Clicking on any of the photos on this page will open a gallery of larger sized images. 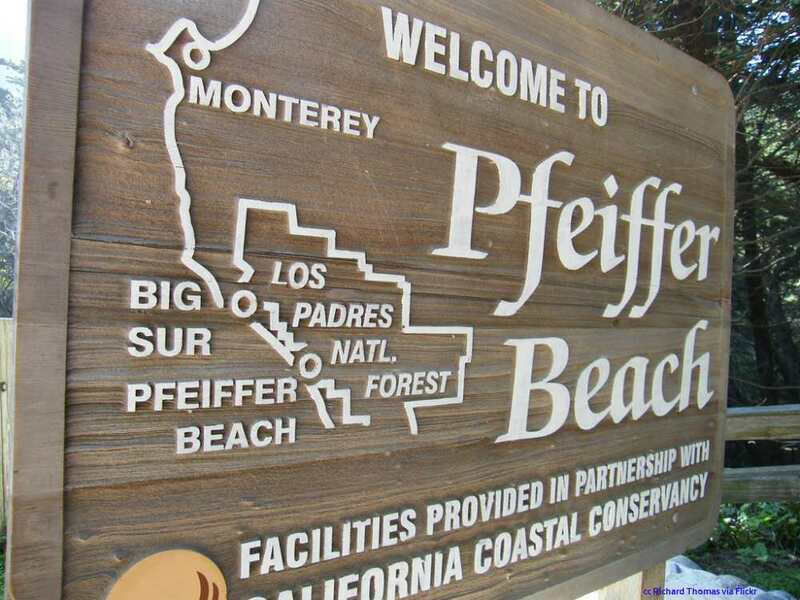 Pfeiffer Big Sur State Park - This is where you'll find the Big Sur Lodge. The entrance is at mile marker Mon 46.9. The beach you want is not here. 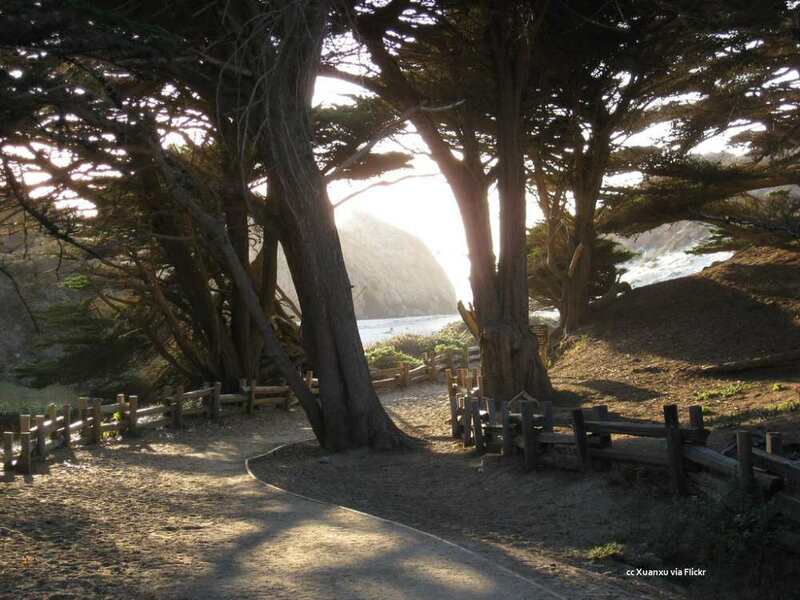 Julia Pfeiffer Burns State Park - This is home to Mc Way Falls. The entrance to this state park is at mile marker Mon 35.9. The beach you want is not here either. 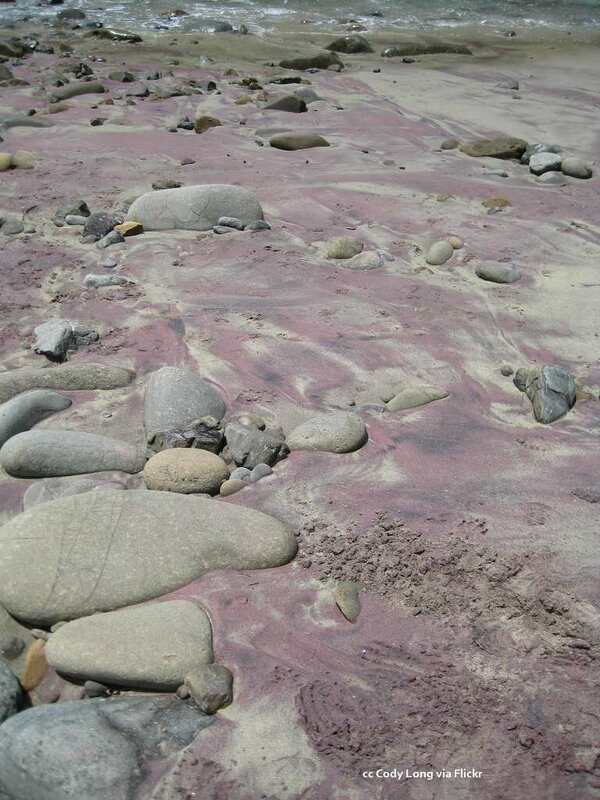 Pfeiffer Beach, with its purple sand, IS down Sycamore Canyon Road at mile marker Mon 45.64. It is not a state park, but on Los Padres National Forest land. If you are heading north - the mile markers count UP. The turnoff will be on your left past the post office about 0.6 miles. If you are heading south - the mile markers count DOWN. The turnoff will be on your right 0.66 miles past the Ranger station. The turnoff is somewhat hidden and not signed or marked on Highway 1. GPS coordinates at the turnoff are: 36.24023 / -121.77706. 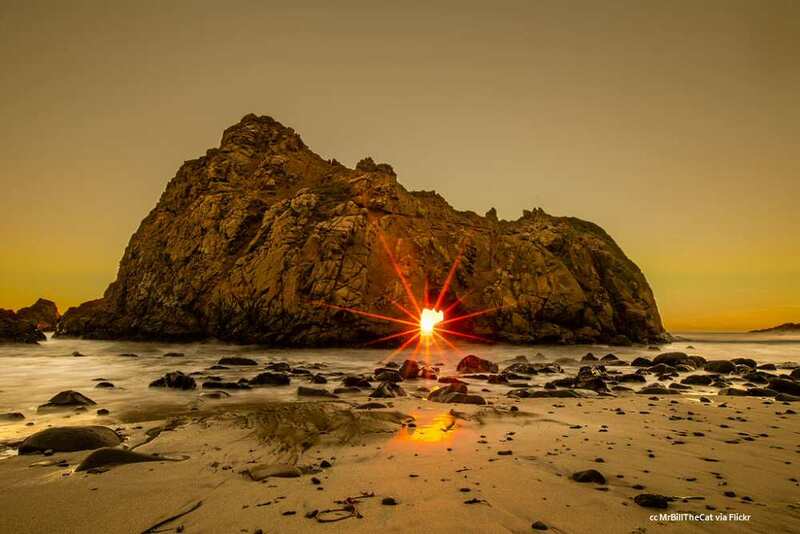 When you're done checking out Pfeiffer Beach in Big Sur, do come by our Facebook page and give us a "Like". I share new photos I've taken and timely posts about interesting events and happenings that generally don't show up on this site. Thanks! It is somewhat complicated, but worth the effort and the view above is what's waiting for you...(see my page on the Pfeiffer Keyhole rock for more photos). RV's or trailers are not recommended down the single lane road. It is two miles to the parking area and then a short walk down to the beach. Parking is $5. In December 2013 a large fire broke out on Pfeiffer Ridge, just to the north of Sycamore Canyon. When it was finally extinguished, over 900 acres burned and more than 20 homes were destroyed. The continuing drought has extended the fire season well into the winter with this tragic fire being a prime example. As unfortunate as this fire was for residents, it has not effected current access to the beach or its facilities. No camp or beach fires are allowed. 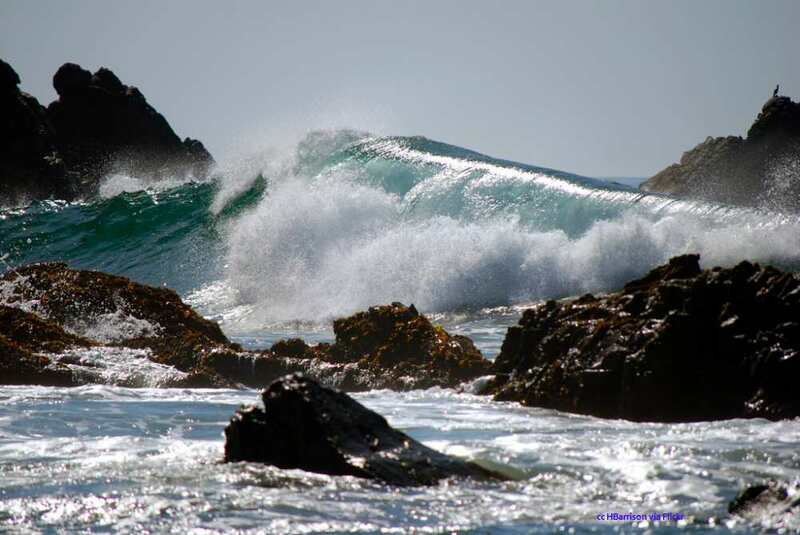 Swimming: Not recommended due to rocks and strong currents. Call park office for information. Dogs: Dogs on leash are allowed on the beach. The sign tells you that you've finally made it. 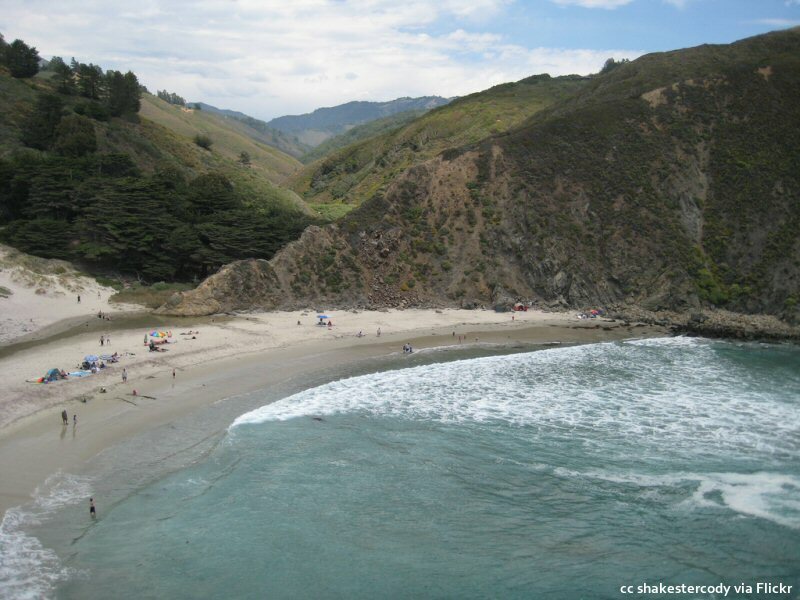 If you are touring the Big Sur coast during the summer, it is best to plan a visit to this beach early in the day. The parking lot (as well as the beach) is small and sometimes fills up. Nothing else to do than be disappointed and turn back. The beach can also be windy since the rocks seem to funnel the gusts. Nothing to do about that either, but the beauty of this place is worth it. 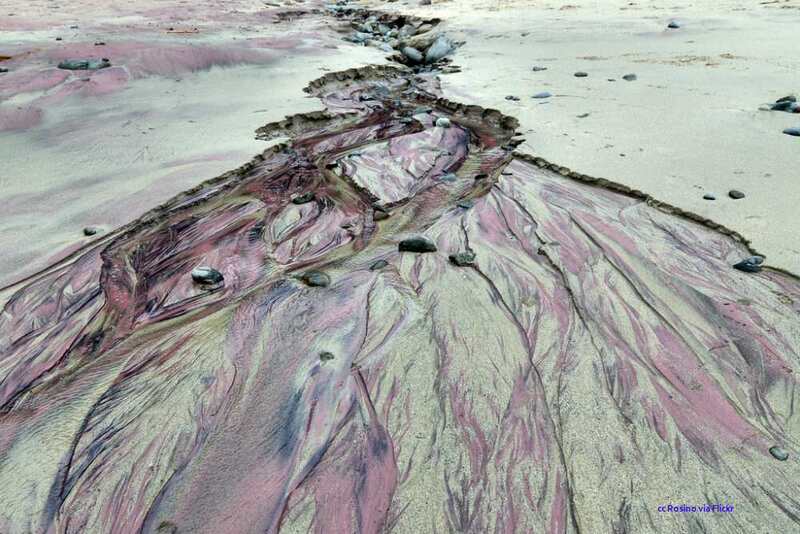 Realize that not ALL the sand on the beach at Pfeiffer is purple. There are patches generally along the northern part of the beach. 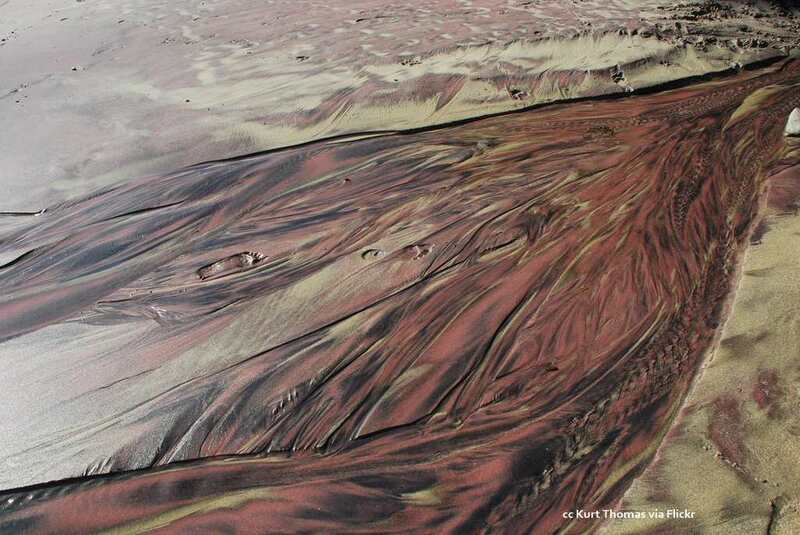 It comes from manganese garnet in the hills being eroded and washed down the creek to the beach. 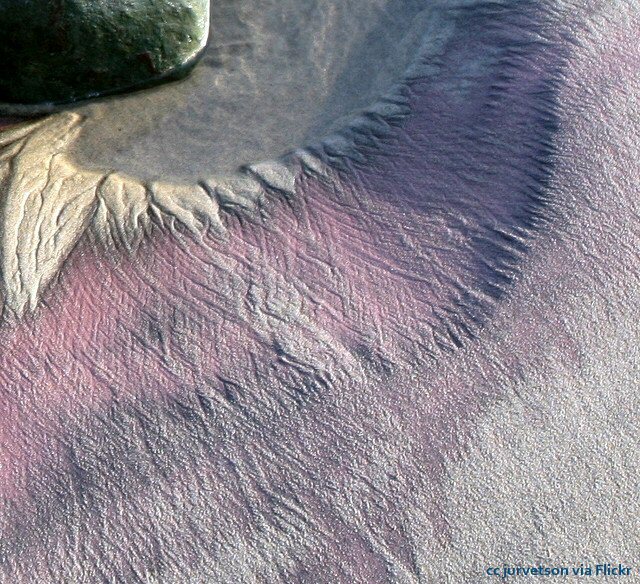 You are more likely to see the purple sand after winter storms. Sometimes the color appears more pinkish and others report some green color at times. It's a beach that rewards a bit of work. 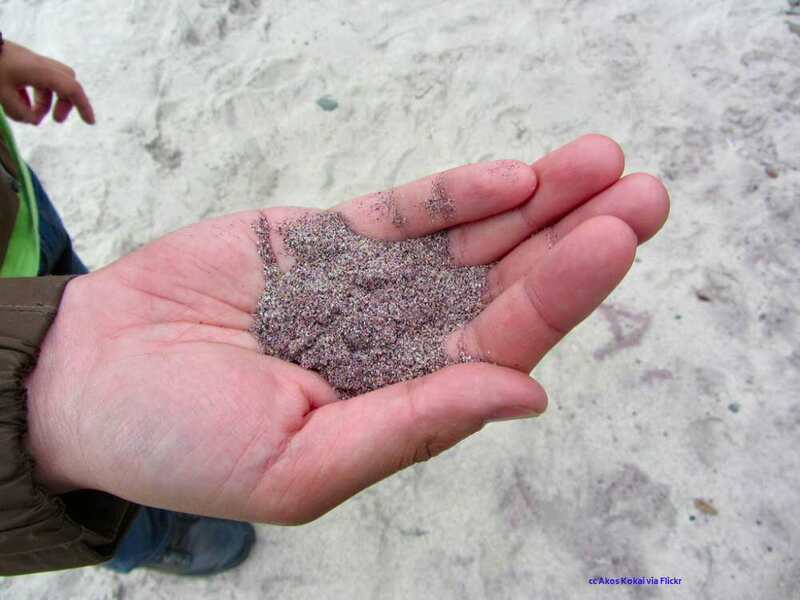 And at how many other places will you find sand of this color?